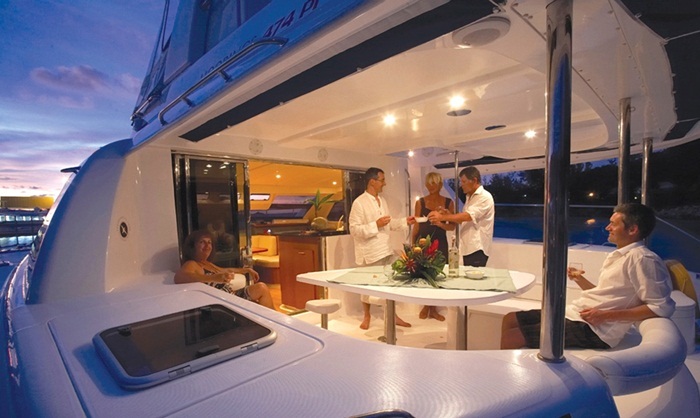 The 47 Power Catamaran is designed specifically for enjoyment, breaking innovations in comfort, safety and performance. 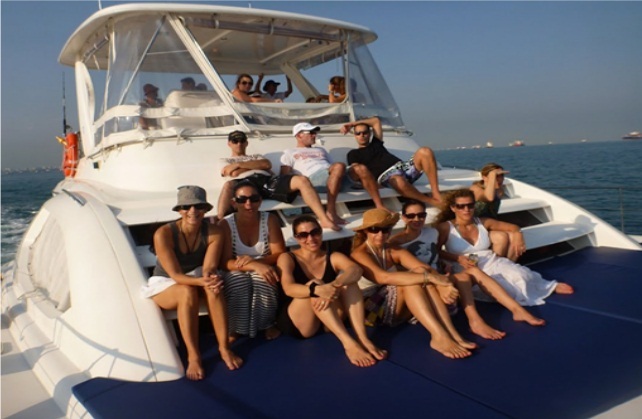 It is a perfect yacht to entertain your family, guests or clients for corporate and private events, birthdays, anniversaries, or a family outing. 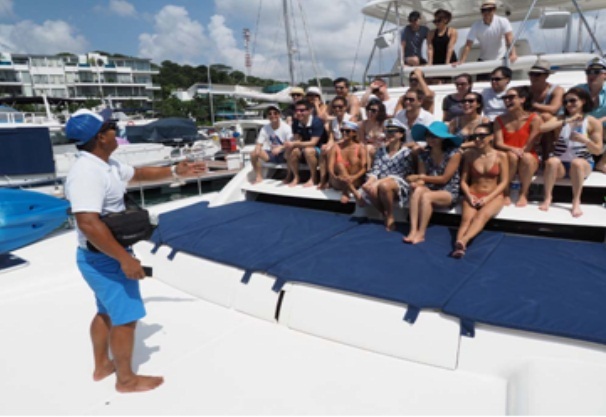 The yacht can accommodate 33 guests comfortably. ALCOHOL is allowed but must be consumed in a responsible manner. 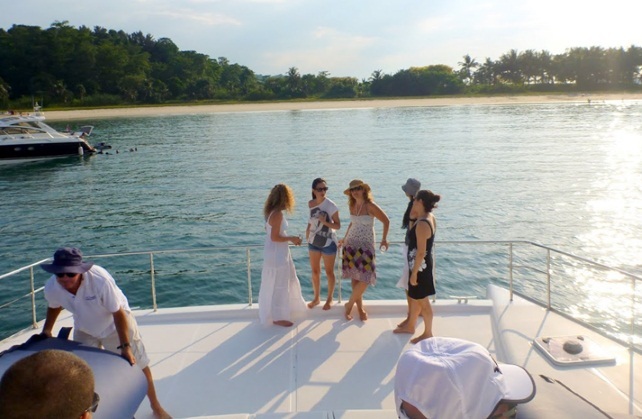 If the skipper deems that any guests are behaving in a manner that compromises the safety of the guests or crew, or causes damage to the yacht due to excessive consumption of alcohol, the yacht will immediately return to the dock and the charter will be curtailed. Prices subject to 7% GST. Charters taken on eve of Public Holidays or Public Holidays are subjected to a 20% peak rate surcharge. 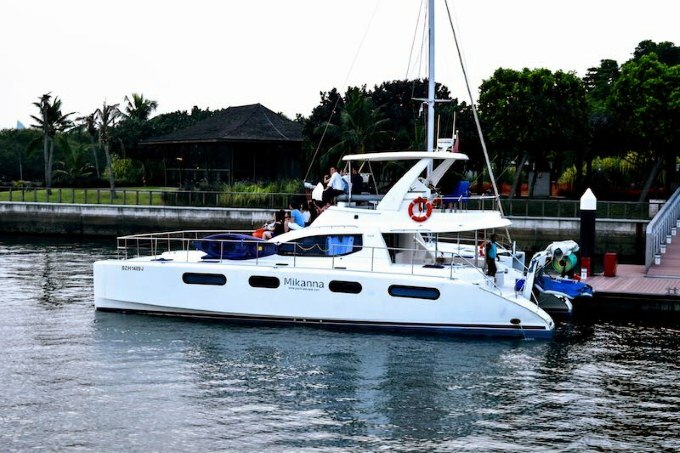 All bookings will only be confirmed upon receipt of full payment and is subject to first-come, first-served basis. A baby or a child is considered as one person. No pets are allowed on board. No self-­­catering charges. No corkage charges. 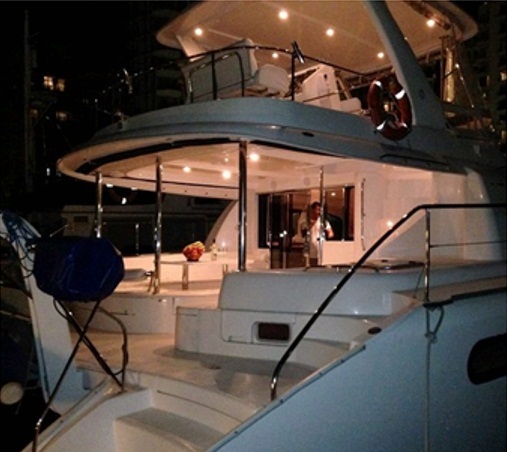 Our yachts operate on a NO SMOKING policy. Cancellation: More than 28 days prior to departure, full refund less 18% admin fee will be made. More than 14 days, less than 28 days, 50% of full payment will be refunded. Less than 14 days, full amount will be forfeited.